What's your favorite kind of frag? One-shot room-clearing carnage (BFG + Quad, etc). Got a Problem? This Can Blow It Up. 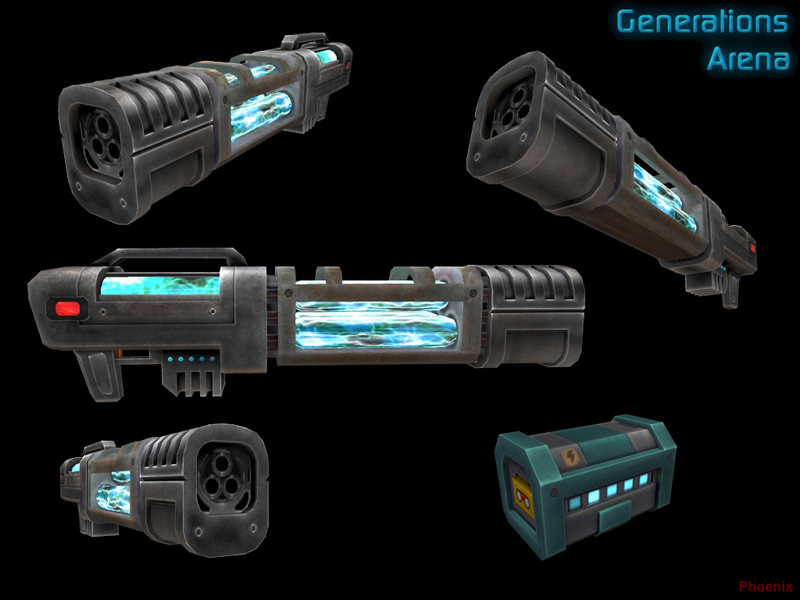 The final entry in the Strogg Troopers arsenal is the Phalanx Particle Cannon. 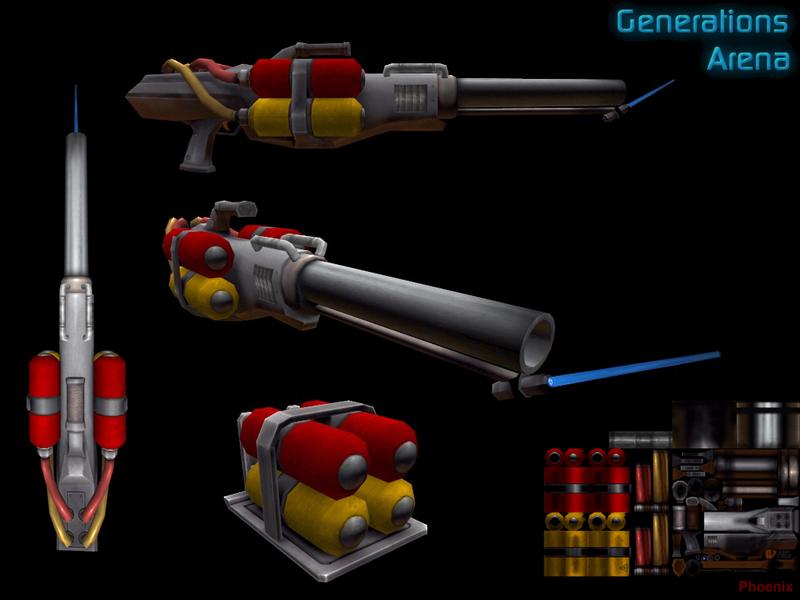 Ever wonder what's better than a Rocket Launcher? 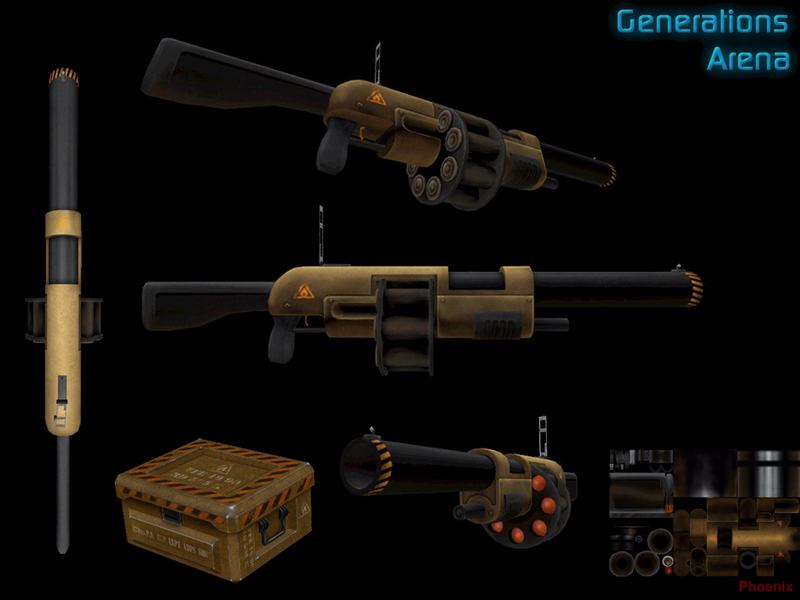 How about a compact double-barreled cannon that fires super-heated magnesium slugs in quick succession. Give them both barrels and watch the gibs fly! 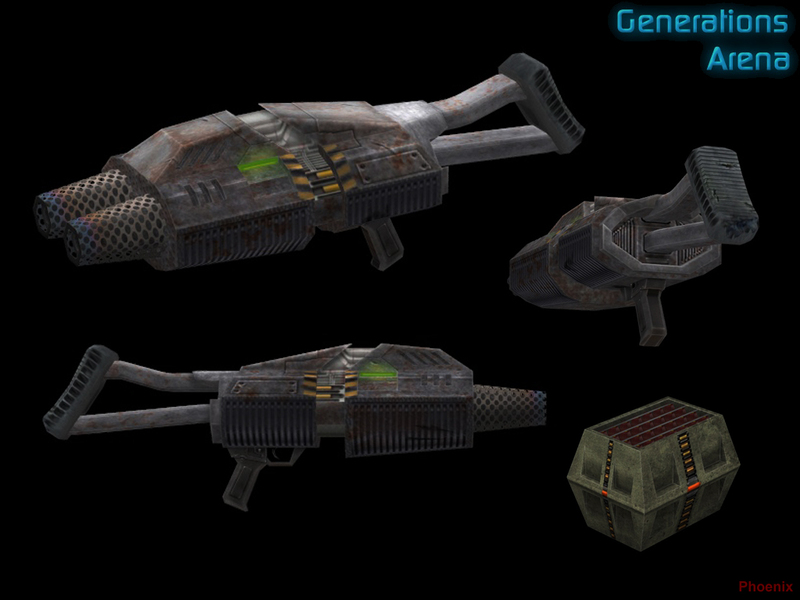 Uses special magnesium slugs for ammo, and spawns where Arena Gladiators would pick up a Nailgun. So what's next? As you may have noticed, there's not a large variety of characters in the videos posted recently. The main 5 need to train the other combatants how to properly hold their new weapons, which means player model rigging and animation. 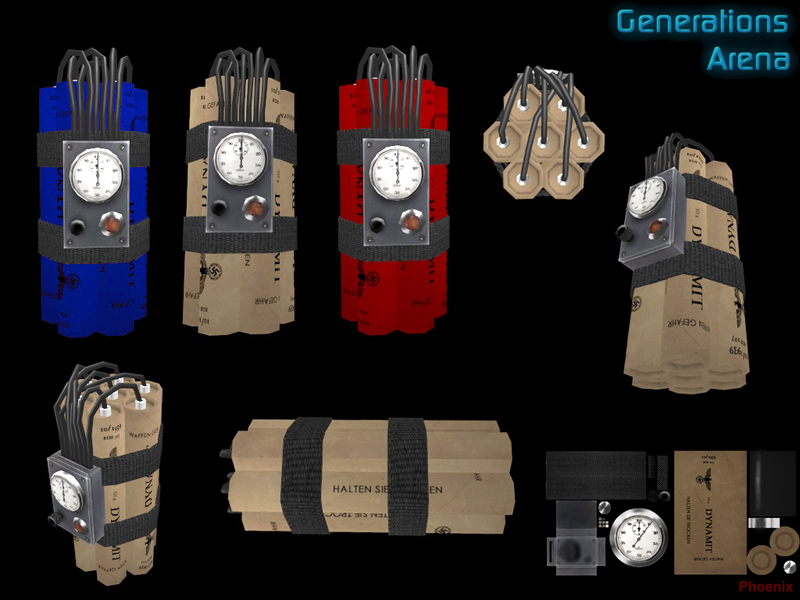 We also be cooking up some icons for the new guns, plus hunting down and fixing any bugs that crawl out along the way. The Earth Soldiers are here to bring their special kind of pain. First up is the Fireball Gun. As if lighting enemies on fire wasn't effective enough, some sadistic mind found a way to do it from a distance. 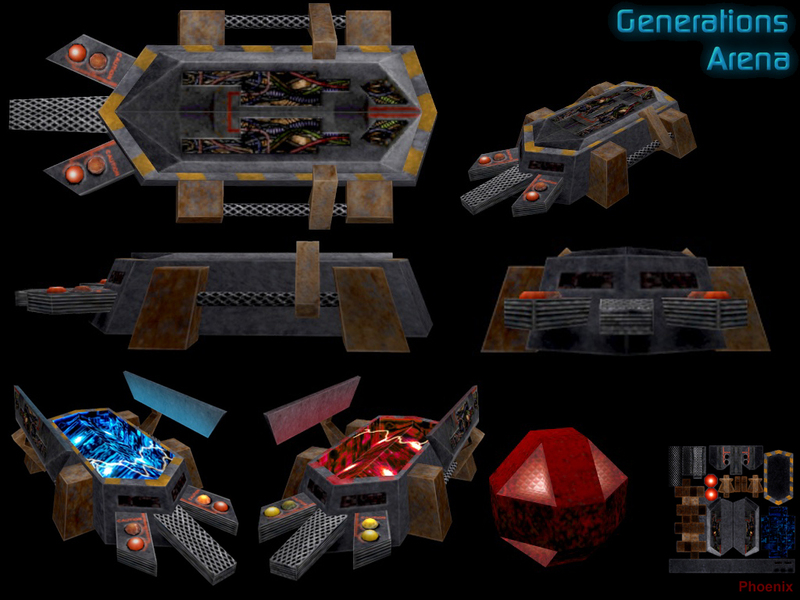 It's not nicknamed the "Gib Toaster" without reason. Located any place where Arena Gladiators would find a Chaingun. The Mortar is a fine weapon, but how can it be made better? Simple, just add fire. Originally called the Firestorm, it quickly earned the title Hellstorm after being seen in action and the name stuck. The shells from this cannon fly a little farther and it takes a little longer to recover from the brutal recoil, but the results speak for themselves. If you've ever needed to reduce an enemy squad to ashes in a single shot this can do it. Look where Arena Gladiators would find a Nailgun to get your hands on one of these. Instead of lobbing smaller bombs everywhere, sometimes you just want one big bomb to take care of a big problem. Earth Soldiers decided to bring some old-school Dynamite to the party. Just set the timer, toss, and let the gibbing begin. Found wherever the Arena Gladiators would get their Prox Launcher or Prox Mine ammo packs. Work begins on the final weapon for the Strogg Troopers. Video quality isn't the best on Youtube, but you'll get the idea. Time to Rip things up. Those Slipgate weapons left you hungry for more? The Strogg Troopers are not ones to be left behind when it comes to exotic weaponry. You like to hit things around corners, but don't want to kill yourself in the process? You want the Ion Ripper. 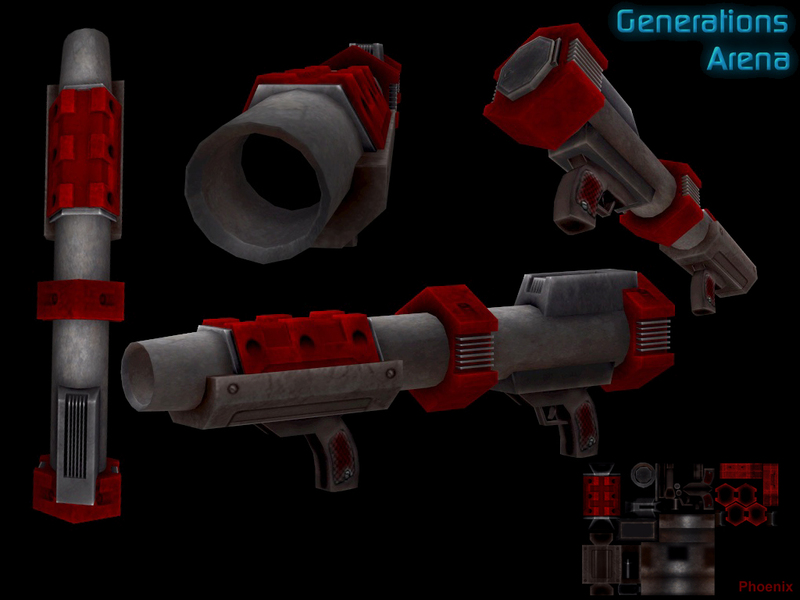 This can be picked up anywhere the Arena Gladiators find a Chaingun. Ever wish your shotgun had a longer range? Don't like Arena Gladiators turning you into a pin cushion with that Nailgun? Give the Ion Gun a try. It's basically a long-range energy shotgun. It's tricky to master, but once you find the "sweet spot" you'll be the one doing the nailing. Spawning at an Arena Gladiators' Nailgun location near you. 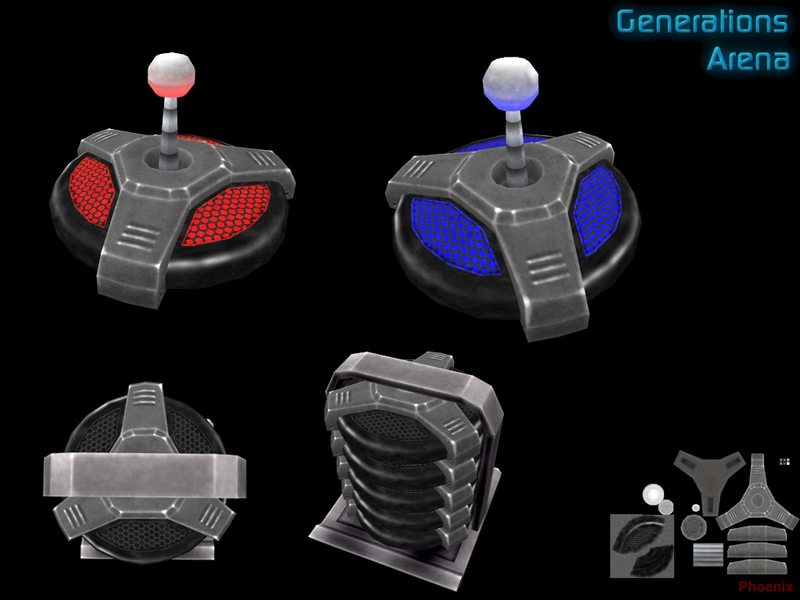 Proximity mines are fun, but the only problem is that they go away once they do their thing. If you really need to deny access you want something that stays in place and keeps hurting. You want Tesla Mines for that job. One by itself isn't very dangerous, but several thrown in strategic places can wreak havoc. It's the perfect tool for when the lone marine needs someone - or something - to have his or her back. No need for a launcher, just toss it and it'll latch on to any surface. Found wherever proximity launchers or mines are laying around. Who doesn't love chainguns? Who doesn't love shotguns? What could be more awesome? A chain-shotgun, that's what. 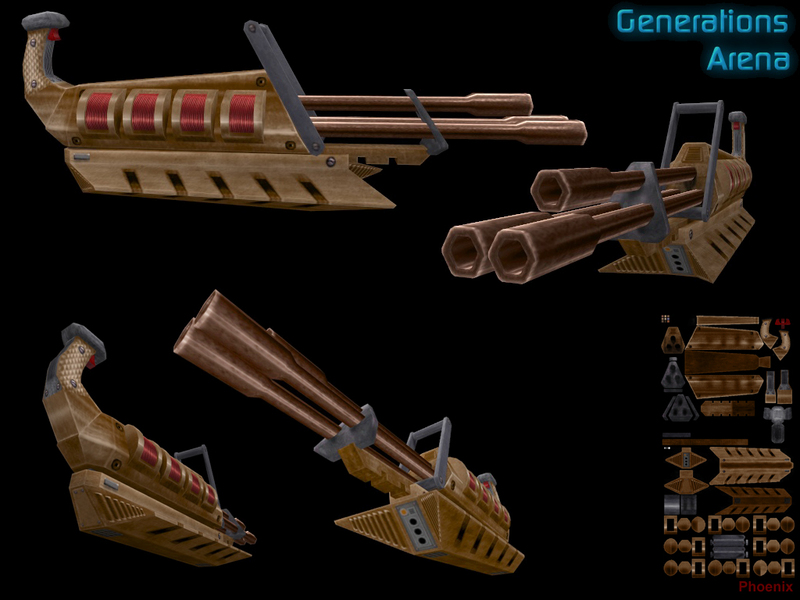 Introducing the Heavy Chaingun*. You've been on the other end of it when facing the Spider Mastermind, now you get to wield it yourself. You spray, they pray. Pick this up wherever the Arena Gladiators would find their chaingun. So what's next? As work continues on the Strogg Troopers' expanded arsenal, we'll be adding some more preview video for the Doom Warriors weapons in action, as well as showcasing the Earth Soldiers' new toys. Stay tuned! 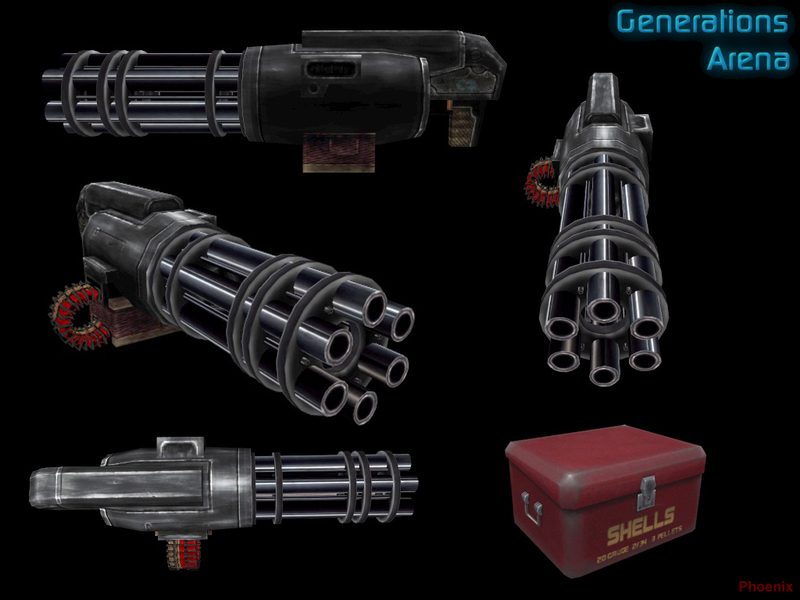 *Not to be confused with the .99f Heavy Chaingun. 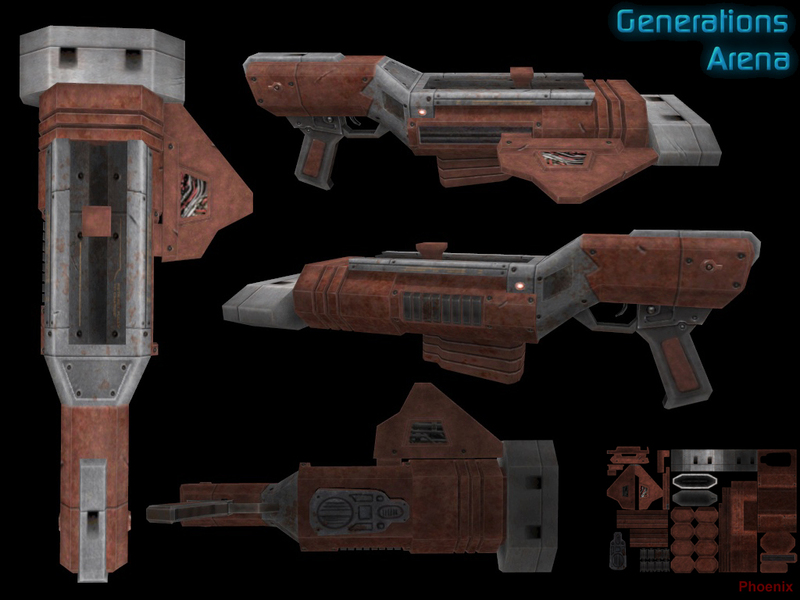 That has been renamed just "chaingun" for consistency with Doom as well as differentiation with the new gun. Hungry for something new to see? Wirehead has been hard at work pushing 1.0 forward. Most of the changes so far have been internal code modifications and those are hard to show, but we've finally got some new eye candy for you. As promised, some more Team Arena goodness. This time, for the Slipgaters. 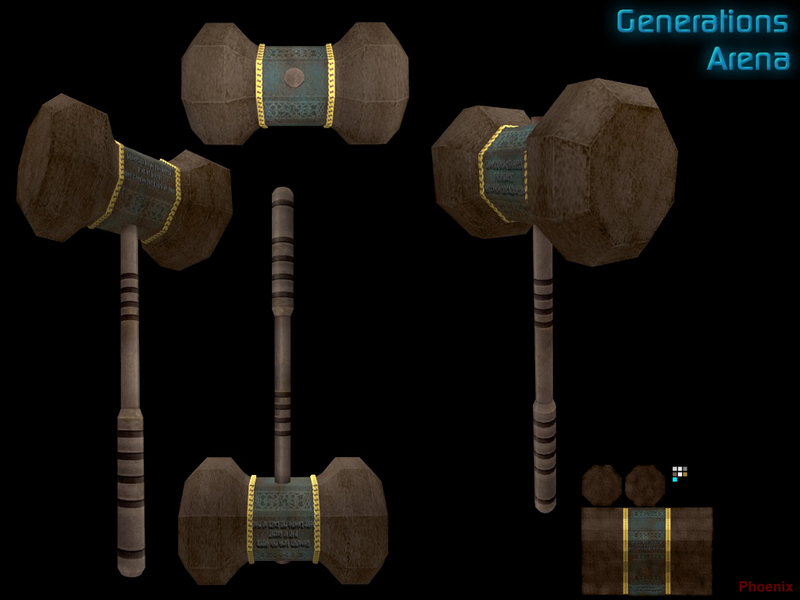 First up, the Mjolnir. This can be found anywhere an Arena Gladiator picks up a Nailgun. Next is the Proximity Gun. 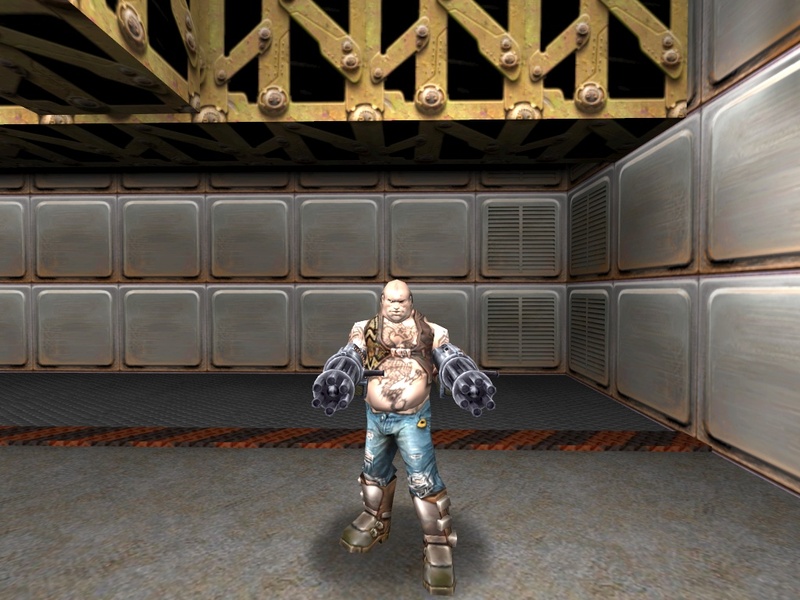 It's spawns wherever Arena Gladiators get their Prox Launcher, and works fairly similar, though Quake veterans will appreciate the differences. Finally, we have the Laser Cannon. Who needs a chaingun when you've got freakin' LASERS that bounce off walls? More will be added to the gallery as we move forward, so stay tuned.